Mobile technology has transformed the way modern-day society does business and completely altered the retail landscape. This innovative tech has actually made merchant lives easier in various ways. It’s freed them from needing to constantly be in the store, empowered them to save time by automating tasks that were once entirely manual, and given them much easier access to performance data that allows them to grow faster and increase success.But despite the fact that tech and mobile devices are inseparable from our modern way of living, it can still be challenging to know how to fully take advantage of everything they have to offer when it comes to your business. The whole point of using mobile devices to run your retail business is to make your life easier– to allow you to have a much better work-life balance and to promote versatility and flexibility within your business operations.In this post, we’ll share 5 ways you can do just that. Keep reading to find out new ideas to increase efficiency, streamline your tasks, and set yourself up for retail success! The majority of cloud-based tools and apps enable you to access them from your mobile device (or any Internet connected device for that matter), providing unprecedented flexibility and mobility. Instead of confining you to the counter or to one area within your store (or to your store at all, for that matter), they free you to walk around and bring a much better shopping experience to your customers. The cloud combines all your daily biz operations by empowering you with the ability to manage everything from one platform. It saves you tons of time and allows you to run on a better platform level as other traditional retail POS platforms. The greatest advantage of running a retail business in this day and age is the ability to work from another location when you need to. By doing business in the cloud, you’re giving yourself the option to run things from wherever you are– be it the beach or at your dinner table. The cloud lets you host every piece of business data in one location out in the ether of the Internet. The beauty of running your business on the cloud is the ability to connect to your data on an Android device such as HioPOS Cloud or IOS Device using USAePay. The data does not stay on the device, in fact, you could drop any one of these devices off a 12 story building, log into a different device an pick up right where you left off. Manage all your systems from one platform, minimizing double-entry and reducing the potential for human error. This in turn increases your effectiveness as an organized and stable company. When your leveraging cloud POS software, apps are talking, you need to do less work to get across all the various elements to run your business, and the need for double-entry evaporates– saving you time and making you more efficient. Simplify the variety of moving parts you’ve got going on in your business. Help your team by empowering them with apps that allow them to do their jobs to the very best of their abilities and you have the blueprint for a successful business! USAePay. USAePAY is eTech Merchant Solutions’s free mobile Android, IOS, and PC app, and it’s designed to take the pain out of inventory management, customer database management, email invoice payment solutions, eCommerce payment solutions, and payment processing all under one cloud platform! USAePay functions as a complete Cloud POS solution, or you can utilize it by integrating with online eCommerce platforms such as Shopify. It allows you and your employees to perform real-time inventory counts accept credit card payment via MP200 EMV Blue tooth or EMS+ lightning credit card swiper– all straight from your iPhone, or iPad. Other cloud software features tailored into all eTech Merchant Solutions POS systems are accounting, loyalty rewards programs, and appointment scheduling software linked to your social media business accounts! Its one thing for your POS systems to be capable of doing a million things, but are they easy to use and actually usable? We’ve done all the research and programming for you, and have delivered the perfect solutions tailored to your business needs. You can export reports or schedule daily email and mobile-friendly reports of sales analytics and low stock alerts. It goes without saying, that an easy to read dashboards is a must for any small business to prosper. Another excellent retail or restaurant cloud POS system based off android is HioPOS Cloud. 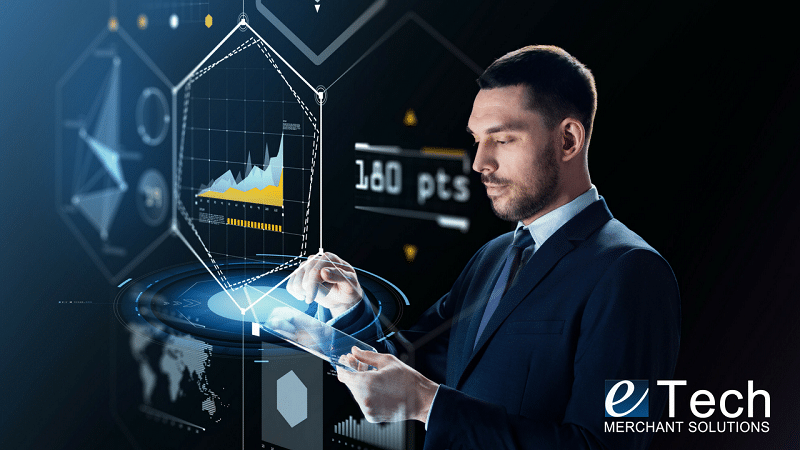 eTech Merchant Solutions’s partnership with ICG Software has leveraged Cloud technology to deliver the best solution putting our merchants ahead of the curve. 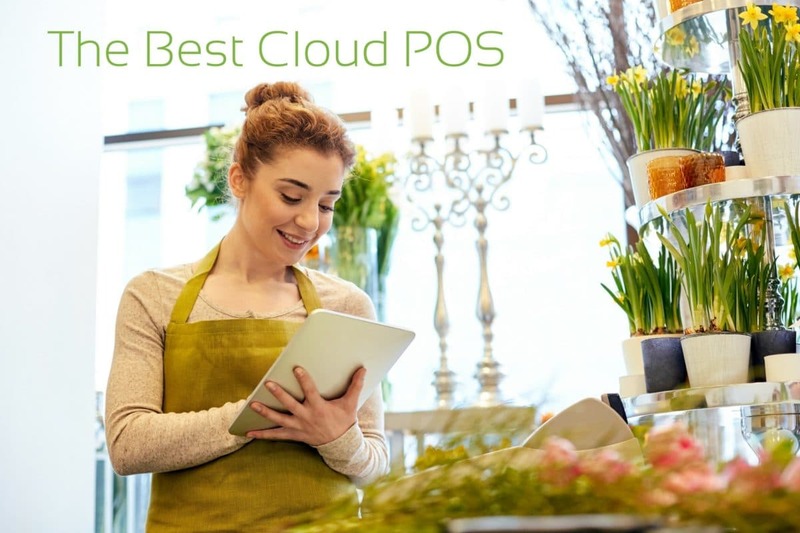 HioPOS Cloud runs on Android tablets, phones, and out of the box 14″ full POS system. The main features include: Time saving inventory management with tracking alerts when you run low on inventory, detailed sales reports and graphs, customer database, vendor database, staff management, and staff performance metrics across multiple locations. Cut the cord already will you? When your business hardware can go wherever you go, you can in fact bring the shopping and checkout experiences to the consumer rather than standing fairly uselessly behind a counter. This allows for much better conversation and engagement, faster purchases, easier information gathering, and less overall friction. All this nets you stronger relationships with your customers, which in turn leads to increased loyalty, greater brand name awareness, and ultimately higher revenue. Do you currently use your mobile device to help run your business on a daily basis? If you do, let us know in the comments– and leave your suggestions so your fellow merchants can be empowered by them!